It's our annual Food Drive For St. Ann's. Please donate any non-perishable food or toiletry products. 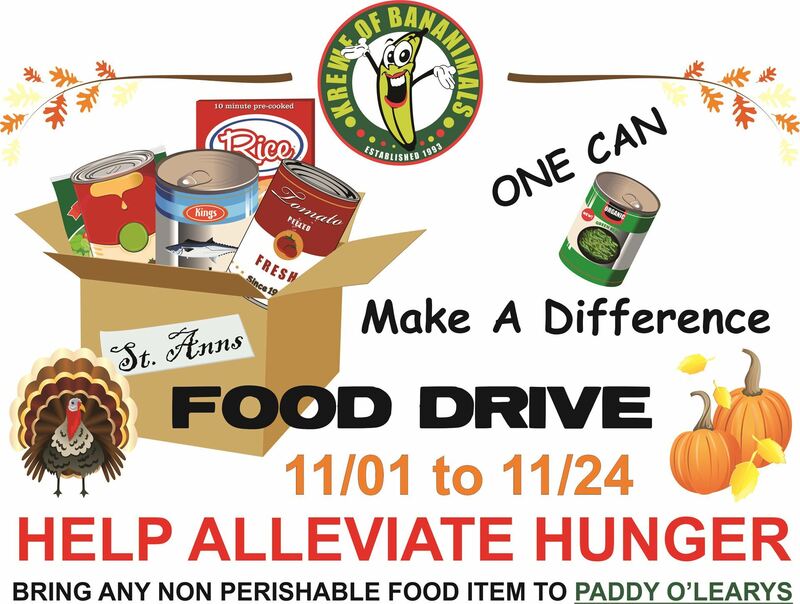 Collection box will be at Paddy O'Leary's from 11/1 to 11/24. Even 1 can, will make a difference.